Heavy Duty Suction Cups. 80mm diameter. 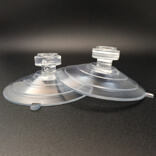 Strong heavy duty suction cup hooks are named that for a reason. They can bear extremely strong loads and are used for specific situations. They are meant to replace the traditional permanent hangers that people use on their windows, doors and walls. In order to do this, they need to replicate the functionality and strength of the products they are replacing. This is not easy to do and requires changes in design and materials without compromising the basic principle of adsorption as the main method of attachment and detachment. KingFar realized that old manufacturing methods will not help it in meeting demands in this category. They revamped their strategy and started experimentation with different techniques and materials to achieve the desired result. So what was this result? 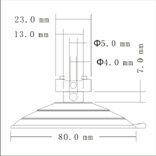 A product that could fall under the category of wreath suction hook as soon as it rolled of the manufacturing line. Another major breakthrough was that it could be used in countries which had severe winters. This meant that the product had to deal with temperature variations without losing its adsorption capability. 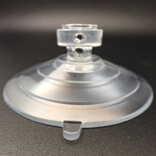 KingFar heavy duty suction cups achieved this with relative ease by using medical grade plastic that made it easy and safe to handle by any person. Can be used on any type of surface including wood or any smooth artificial space. 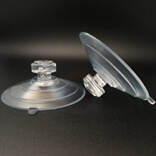 heavy duty Suction Cup KF- 80MH as a product is made with a specific purpose in mind. 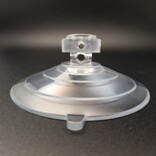 This purpose is to handle loads which are five times what a normal suction based product does. This is not an easy task. However, it does so with ease handling up to 25kgs. What makes it truly exceptional is that it does so in temperatures below zero and even in artificially heated environments.